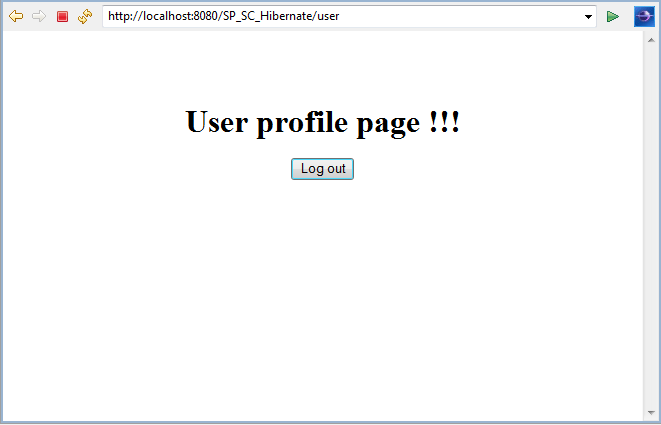 In this particular blog we will see how to configure Spring Security with Hibernate to accomplish Authentication and Authorization in our application. We will use a maven web project for the purpose, we have just created a simple maven web project and imported it in Eclipse. Before we go forward let's first create a database and required tables to store and get user credential from, we have created two tables "users" and "user_roles". We have added two users details, with ROLE_USER and ROLE_ADMIN to be used here. Just copy and execute the below script in your mysql query editor to get a db setup for you. If everything goes right you will see following table structures. We need to make an Spring entry to web.xml, this will tell the container that all upcoming requests will be served by Spring Framework itself as per the configuration. We have also added a filter entry to integrate spring security in the application. This is simple spring configuration file, we have added entry for base-package here to search and find Controller, Dao and Service classes with annotations. We defined few beans here for hibernate configurations and a datasource bean to connect with database. Here is spring-security configuration file with all required configurations and settings, we have defioned two roles here and a service "loginService" bean to communicate with data layer of the application. 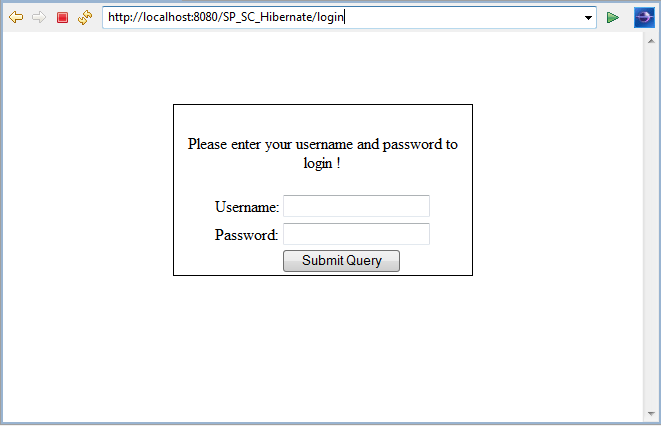 This is simple spring mvc controller having request mappings to deal with different incoming request and render appropriate pages used in the login process. 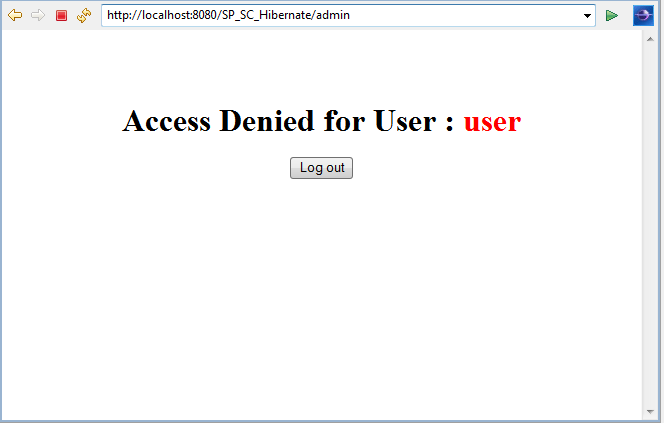 <input type="submit" value="Log out" /> <input type="hidden"
Now you will get a access denied error, because "user" is not authorized to see "/admin" pages. That's all for now in, Spring Security with Hibernate with Maven.